Pierre Zevorth plays organ works by Marchand, Couperin, Franck, Vierne, Cochereau, Kotyuk, and, by Jean LANGLAIS, "Acclamations carolingiennes" (Suite Médiévale). Within the "Weimar Orgelsommer 2018), german organist Martin Welzel plays works by Bach, Mendelssohn, Reger, Vierne, Baker, and, by Jean LANGLAIS, "La complainte de Pontkalleg" (Mosaïque 2). 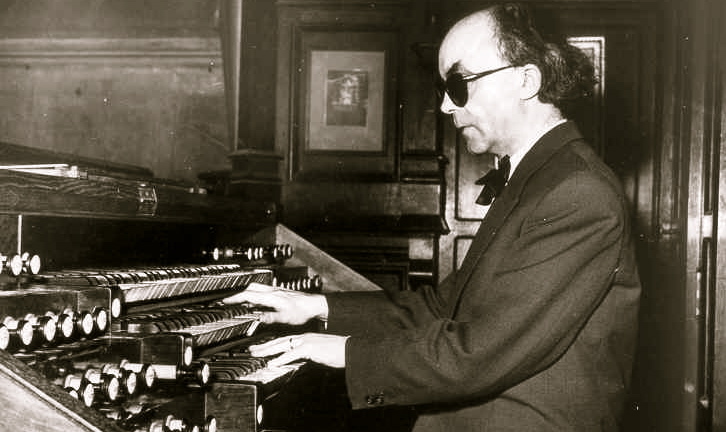 Stefan Kagl plays organ works by Reger, Vierne, Ireland, Howells, Hakim, and, by Jean LANGLAIS, "Fête", and, from Neuf Pièces, "Chant de paix" and "Chant héroïque". Matthew Martin plays organ works by F. Martin, Duruflé, and, by Jean LANGLAIS, "Chant Héroïque" (Neuf Pièces) and "Rosa Mystica" (n°1 from Triptyque Grégorien), as a prelude to the Evensong. Tobias Frank (Germany) plays organ works by Litaize, Vierne, Dupré, and"Fête" by Jean LANGLAIS. Katelyn Emersonplays organ works by Sweelinck, Bach, Cabanilles, Laurin, Sowerby, Howells, and Jean LANGLAIS' "Thème et variations" (Hommage à Frescobaldi). For her recital "Grans Solistes" at the International Ogan Festival in Montserrat (Spain), Katelyn Emerson plays works by Bach, Sweelinck, Cabanilles, Sowerby, Howells, Laurin, and, by Jean LANGLAIS, "Thème et variations" (Hommage à Frescobaldi). For the festival Eucharist for "Southwell Music Festival", Marcus Farnsworth conducts Jean LANGLAIS' "Missa Salve Regina" with the Southwell Festival Voices and the Festival Sinfonia Brass. Simon Hogan accompanies at the organ.